Not Registered? The Consumers Energy Questline and associated newsletters are unique services offered only to our customers. Log In or Register now to gain full access to a variety of tools and information designed to help your business. Variable speed controls save energy, reduce maintenance costs and improve indoor comfort. Air-side economizers bring in outdoor air to provide free cooling, reducing air-conditioning costs. Advanced fault detection and diagnostics technology provide remote monitoring and reporting. Packaged rooftop units are widely used to provide heating and cooling in commercial and industrial buildings. Many of these systems are older and inefficient by today's standards, and years of exposure to a variety of weather conditions has not improved their efficiency. Upgrading to a new, high-performance rooftop unit presents a significant opportunity to reduce energy and maintenance costs and improve your indoor environment. Variable speed condenser and blower fans regulate airflow based on space conditioning needs. Heating and cooling loads vary, but motors run at a constant speed. Fan motors equipped with variable frequency drives can adjust speed to match load requirements, saving energy and putting less stress on system components. Electronically commutated motors (ECMs) are very efficient, using about half the energy of conventional motors. ECMs have variable speed control, allowing the rooftop unit to maintain the proper airflow and a constant temperature, which improves occupant comfort. Their ability to run efficiently at low speeds for long periods saves energy and improves humidity control. Inverter-driven compressors modulate to match the load, instead of cycling on and off, improving temperature control and reducing noise. The soft-start capabilities of inverter driven units reduce equipment stress, allowing for less maintenance and a longer lifespan. Electronic expansion valves improve temperature control while protecting the compressor from the liquids in the refrigerant that can cause premature failure. This type of valve can also increase unit efficiency by safely lowering head pressure. Air-side economizers provide free cooling when outdoor air temperatures are suitable, saving on air conditioning costs. 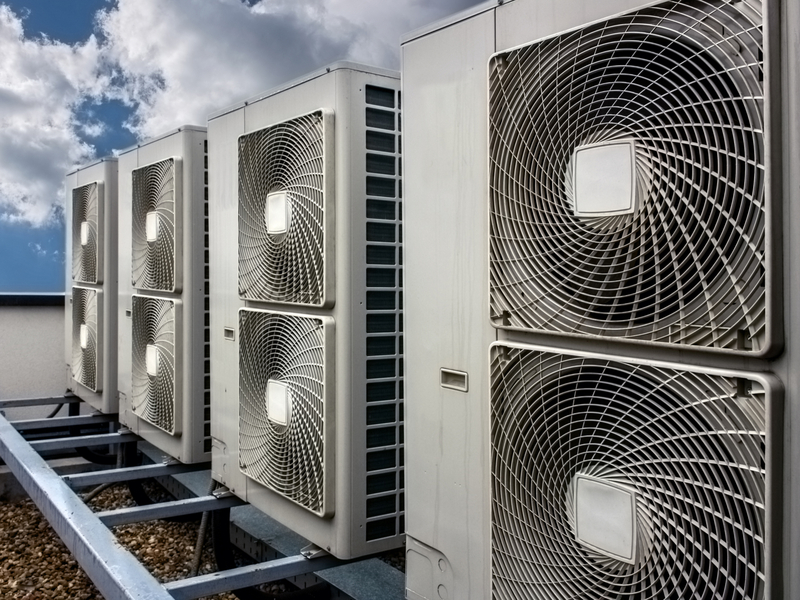 Economizer components include a damper, sensors, motor and controller. When sensors indicate that outdoor temperature and humidity levels are suitable, the controller opens to bring in outside air for cooling. Fault detection and diagnostics (FDD) technology is an integral feature on a growing number of high-performance units. FDD measures airflow, pressure, temperature, compressor operation and other key system functions. When a change indicates a component fault or performance issue, an alarm is generated listing probable causes. Some models can also integrate with existing building automation or energy management systems for remote monitoring and control. Make sure your new unit is ENERGY STAR° certified and ASHRAE 90.1 compliant. ENERGY STAR models are up to 10 percent more efficient than standard units. ASHRAE 90.1 compliant systems meet or exceed the requirements of this widely used building energy code.